The revelation came during a livestreamed Final Fantasy presentation, which outlined the company's plans for XV's forthcoming DLC packs and the newly standalone nature of XV's multiplayer mode. 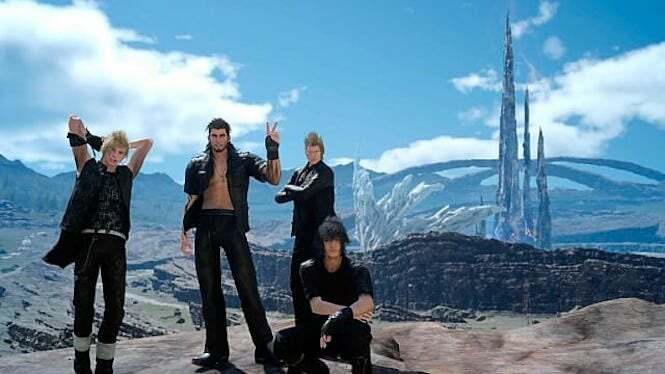 As for the game's director, Hajime Tabata, he announced his leaving Square Enix as a positive move for him and the company, stating that it was time for him to "hand over the torch to the next generation". As of today, Episodes Aranea, Lunafreya, and Noctis have all been scrapped and will not see a release. The rest of the DLC has been scrapped. That is with the exception of Episode Ardyn, which will still release next year as a final send-off for the game. Hopefully Tabata continues to work in the games industry in the future at a new studio. However, in its most recent earnings call, Square Enix reported $33 million in losses. Final Fantasy XV Multiplayer Comrades will be heading to PlayStation 4 and Xbox One on 12th December in North America and then 13th December in Europe and Japan. "In regards to my next endeavours and near future, I have a project that I truly wish to solidify as my next challenge after Final Fantasy XV", Tabata's statement read. However, Tabata indicated that "Episode Ardyn" is still in production. "For that reason, I have made a decision to leave my current position and start my own business in order to achieve my goal". Later, it was announced that Final Fantasy XIV will get a special event designed for XV owners, which features Noctis in a quest titled "Adventurer From Another World". The title is set to include 10 more bosses along with a couple of other new nifty things such as weapons and costumes. "Final Fantasy XV Multiplayer: Comrades" will release on December 12 for PlayStation 4 and Xbox One.